Pencil-thin pinstripes bring baseball-inspired style to slouched joggers. 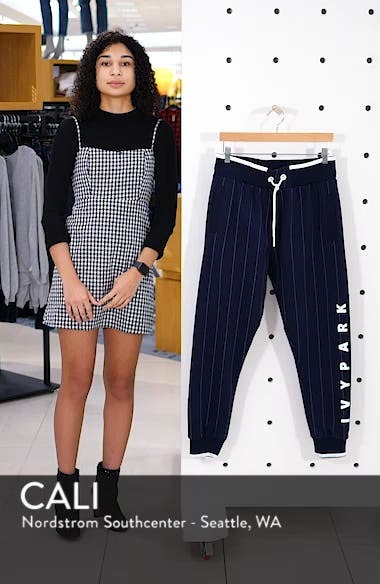 Choose a sizeIvy Park US sizes shown. True to size. XS=4, S=6, M=8-10, L=10-12, XL=12-14. High rise.